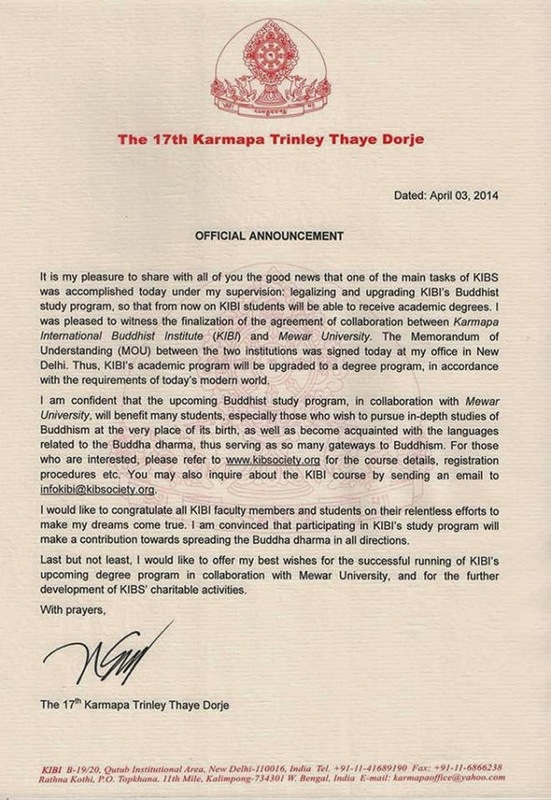 Wednesday, 3rd of March 2014 marked an auspicious day, as the Karmapa International Buddhist Institute (KIBI) took big step forward in upgrading its Buddhist education program. 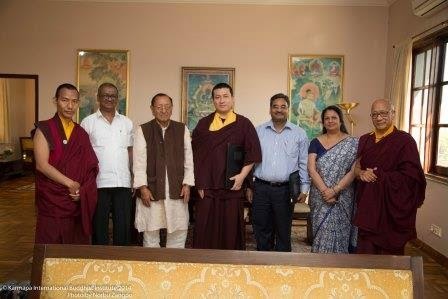 An official meeting, organized by His Holiness 17th Gyalwa Karmapa at his private office in New Delhi, was presided over by His Holiness along with KIBI’s Director Prof. Sempa Dorja, KIBS Exc. Member Shri S.N. Raju, Mewar University’s Chairman Mr. Ashok Kumar Gadiya and Director Dr. Alka Agarwal. 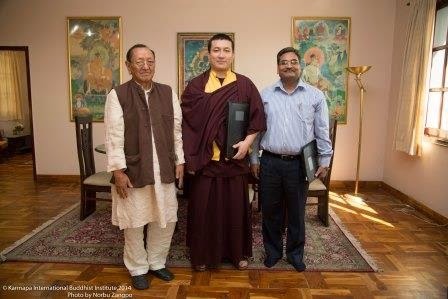 During the meeting a memorandum of understanding (MOU) between KIBI and Mewar University was signed and exchanged. From 2014 KIBI’s academic courses will be upgraded from diploma to degree, and KIBI students will be registered officially under both Mewar University and KIBI. This is an important step in a long process that begun in 1994. Because of this development foreign students will now be able to apply for an Indian student visa. For more details kindly contact KIBI administration at infokibi@kibsociety.org New student registration will open the first week of May.